Facebook has announced that it will be opening up its Instant Articles feature to all publishers on the 12th of April 2016. This means that the service, which is a tool designed for publishers to allow for the faster loading of their content on Facebook will be open to all publishers around the world. First introduced in May 2015, Instant Articles is an avenue for publishers to share their content through a Facebook Feed that provides fast and interactive access to articles. Users accessing the content are able to retrieve it at a faster rate than standard mobile web articles. Rather than posting or sharing links to external platforms, the content, which now resides squarely on Facebook, can now be shared and interacted with in the same way as other types of content on Facebook through a host of multimedia functions. To ensure the viability for the content creators who shift to Instant Articles, Facebook has allowed publishers to sell adverts in their articles and keep the revenue, with an option to use Facebook’s Audience Network to monetize unsold inventory. Nine notable publications and media brands which included The New York Times, National Geographic, BBC News, The Guardian and BuzzFeed signed on as the first partners of Instant Articles when it was introduced and effectively experimented with the feasibility of this new channel. To date, 350 publishers are now on board. The move was explained by the publishers and market watchers as a response to the growing numbers of readers and content consumers who now use Facebook as an access point for information. Besides the confirmation that the huge experiment on Facebook-as-a-Publisher worked, the open access to the tool suggests that Facebook has its eyes on the sizeable amount of content being shared by publishers around the world through the social network. It’s pretty obvious why publishers are already enamoured with Facebook. As the world’s most popular social network (it has over 1,5 billion users) and aggregated platform of eyeballs, it’s a primary centre for sharing any sort of content. It’s not just the impressive numbers, though. Facebook also scores points for improving how content in various forms (text, video, images) is consumed and experienced, something that makes it a magnet for any sort of serious digital age publishing. In Africa, Facebook enjoys these same advantages having secured over 120 million users and marking itself as a rudimentary representation of an internet experience. If you pair that with the huge cost attached to broadband on the continent you end up with products like Facebook Bundles which are provided by mobile network operators who want to cash in on the social network’s popularity. So how does all of this affect the African publisher? 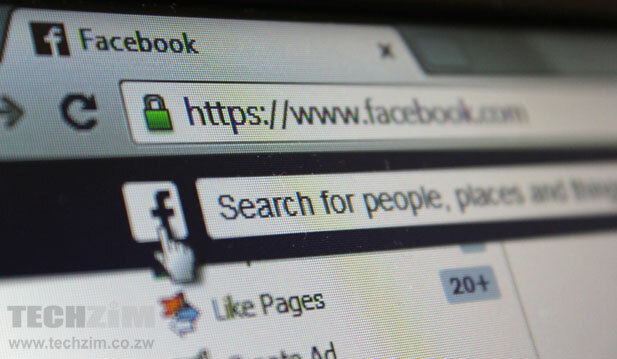 Well, Facebook has a strong place in African internet consumption patterns and in the face of expensive internet, users log on to the social network for access to a tool that provides options for integrated communication, updates on the latest information and access to curated interests. Now that the Instant Articles tool is going to be an option for sharing content with an audience that is already engaged through social media, publishers that have often used Facebook just for promoting content and trying to lure readers to their own platforms can embrace the social network as a primary publisher’s tool. So far publishers from three African countries Kenya, Nigeria and Ghana have already signed on to Instant Articles, and it won’t be surprising to see a new flurry of publishers also using Instant Articles. In markets like Zimbabwe where Facebook is offered at a discounted price through Facebook bundles, there is a clear benefit for publishers who want to engage the consumers of their content directly through an application that won’t saddle them with additional broadband costs. The same could be said for countries where Facebook/Internet.org’s Free Basics service is active. As long as subscribers in these countries have free access to Facebook they will opt to use it at no cost, creating a need for publishers to recognise that. It’s all part of a change that puts Facebook at the centre of people’s internet experiences, something that publishers are now going to have to inevitably accept. Facebook instant articles sounds like a dope platform for many a 3rd world blogger. Cheaper access for bloggers and readrrs alike and easy monetization through ad’s. As a rising blogger I’m counting down the days to the launch. Good read. Yet another offering to make the internet synonymous to Facebook.